In a place where crowds are all around, kindness goes twice as far. 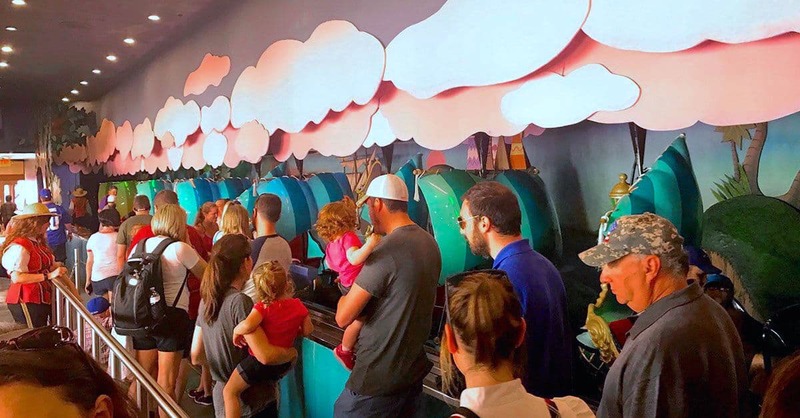 If you and your family are feeling the stress of the high attendance numbers in the parks, chances are that other Guests are feeling it too. Add in the heat of the summer or the sudden rain showers that come, and you have a perfect storm brewing, where meltdowns are almost inevitable—for kids and adults alike. While you can’t be responsible for another Guest’s attitude, you can have a positive effect on others by practicing kindness. That’s because kindness is contagious, and most people welcome an offer of kindness. Hold the door for another Guest. Say thank you. Acknowledge another Guest with a simple “hello.” Smile at someone in the queue. Do whatever you can to spread kindness. You’ll be surprised at the difference it will make in your day and in the day of someone else.